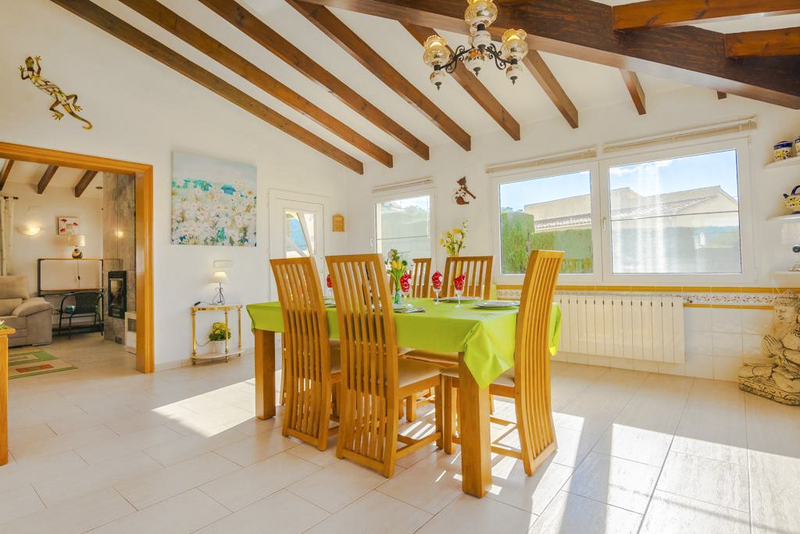 Enjoying a quiet setting close to the resort town of Moraira on the Costa Blanca is Villa Ivonette, a spacious and modern holiday home with touches of rustic charm. 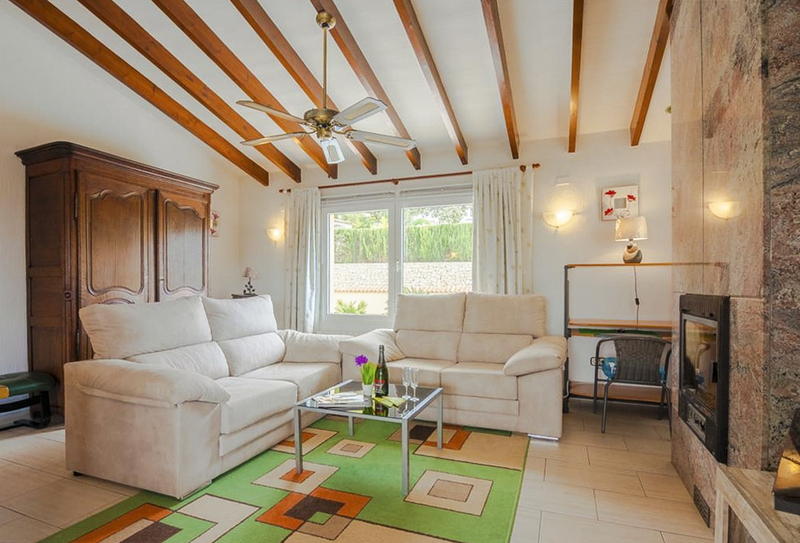 With beamed ceilings and furnishings made from a range of natural materials set against a mostly neutral colour scheme, this is a relaxing holiday retreat for the whole family to enjoy. The beautiful main living room features two comfortable sofas that sit around television and fireplace for a choice of focal points. There’s also a small desk and chair for reading or checking your emails. From here you can walk straight into the dining area, which is a wonderfully large and light space. 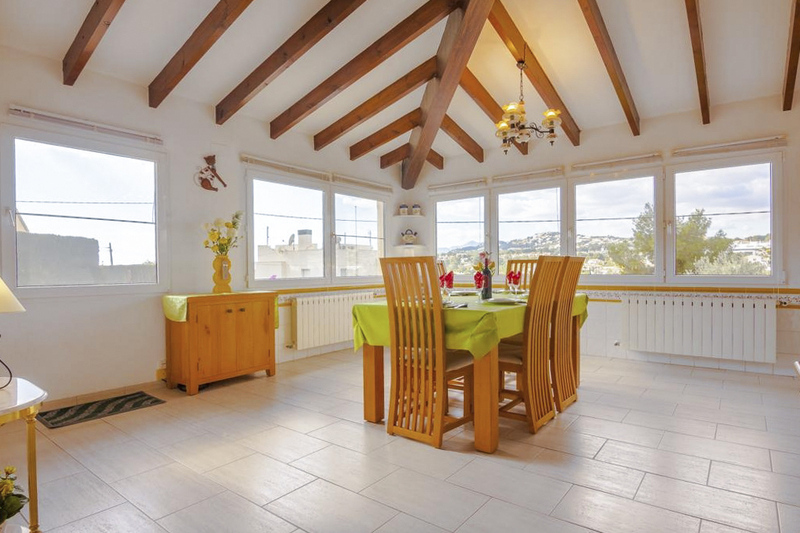 A classic wooden dining table seats up to six people, and numerous windows allow you to appreciate the stunning hill views while dining. 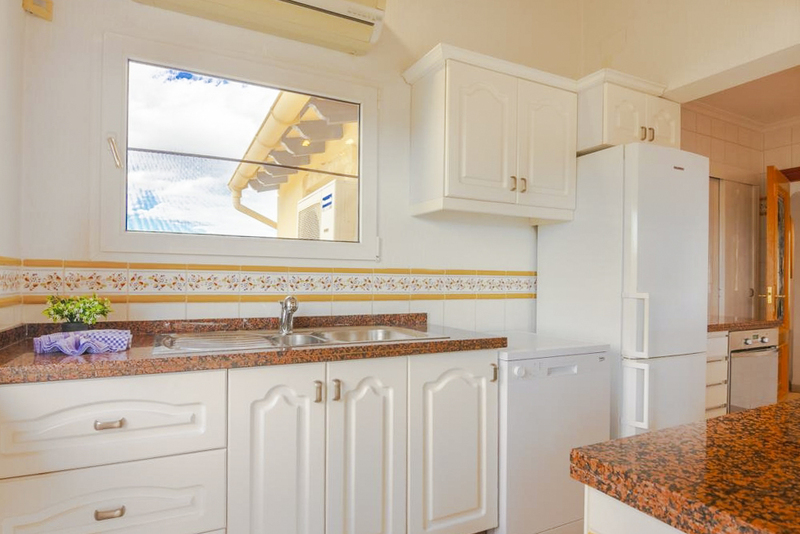 The fully-equipped and spacious kitchen has everything you need, including a dishwasher and electric oven. For additional convenience, there’s also a utility room that houses a washing machine. 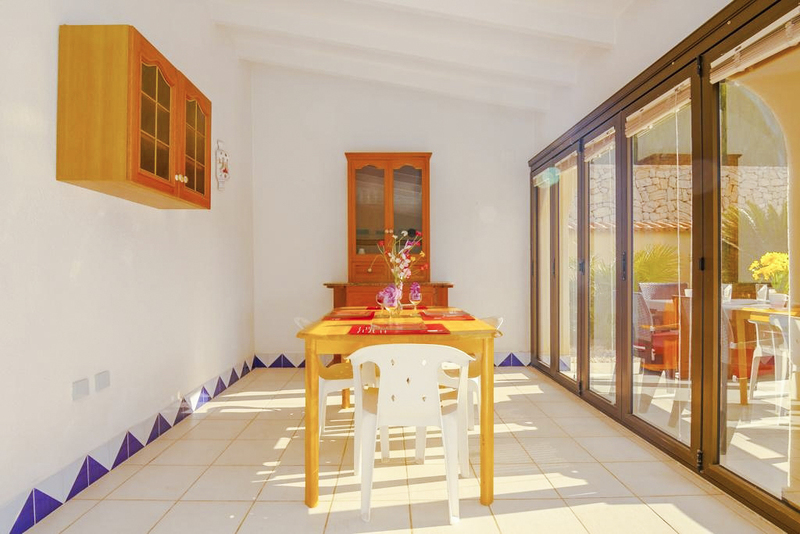 The second living/dining/kitchen space offers flexible options for socialising and relaxing together as a family. 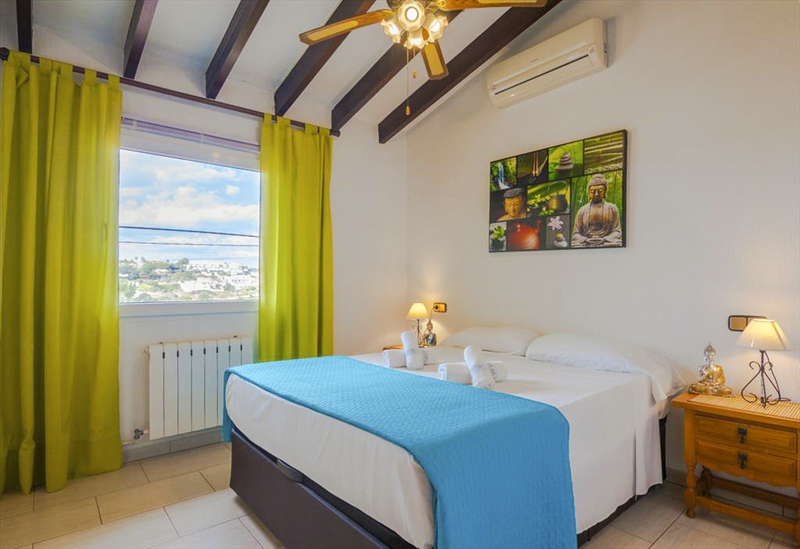 There are three bedrooms in total at Villa Ivonette, and all are quiet places to end busy days. 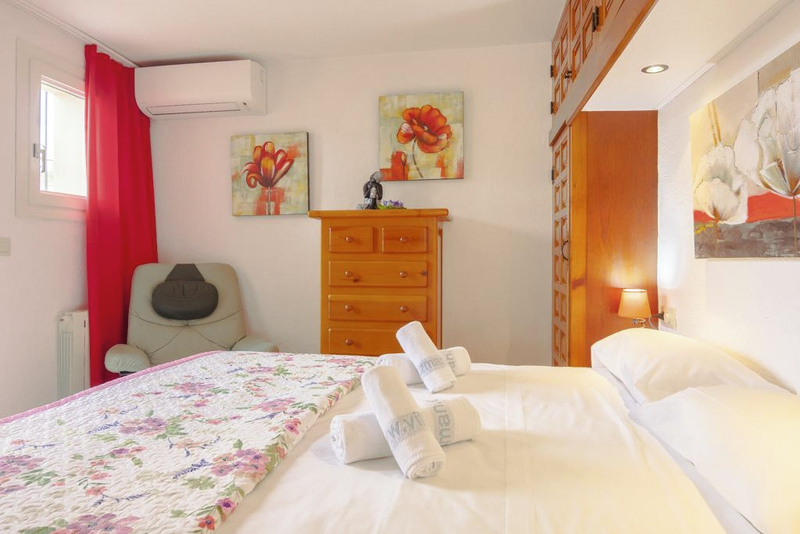 Two have a double bed each, and the third bedroom features two single beds. Completing the accommodation are two bathrooms, with one having a shower and the other both a bathtub and shower. 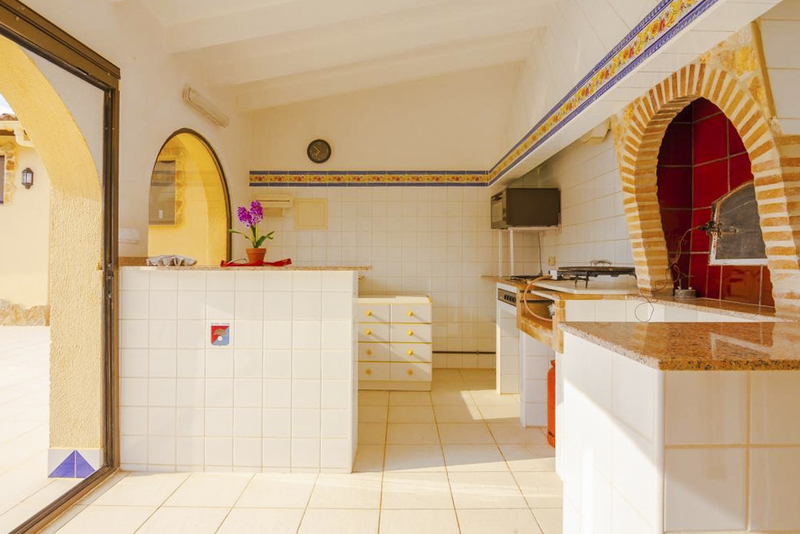 Within the plot is a separate building that’s home to an outdoor kitchen with a rustic oven. There’s also a small, pleasant dining area. Immediately outside on the terrace is a larger outdoor dining table that seats up to six people. Even within the terrace are a private swimming pool and a selection of sun loungers for soaking up the atmosphere or enjoying a drink. A small gravel garden with exotic trees and plants adds to the serene feel of the outside space. 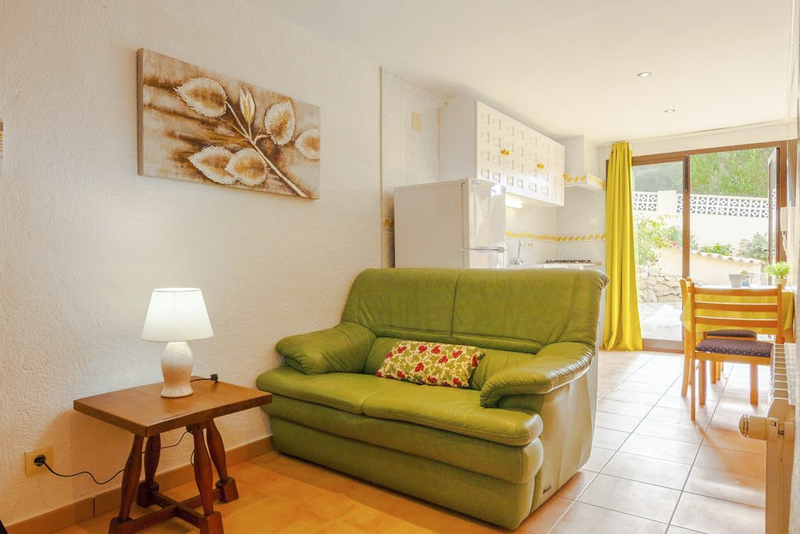 Villa Ivonette is just a 5-minute drive from Moraira town centre and its shops, restaurants, bars and stretches of sand. 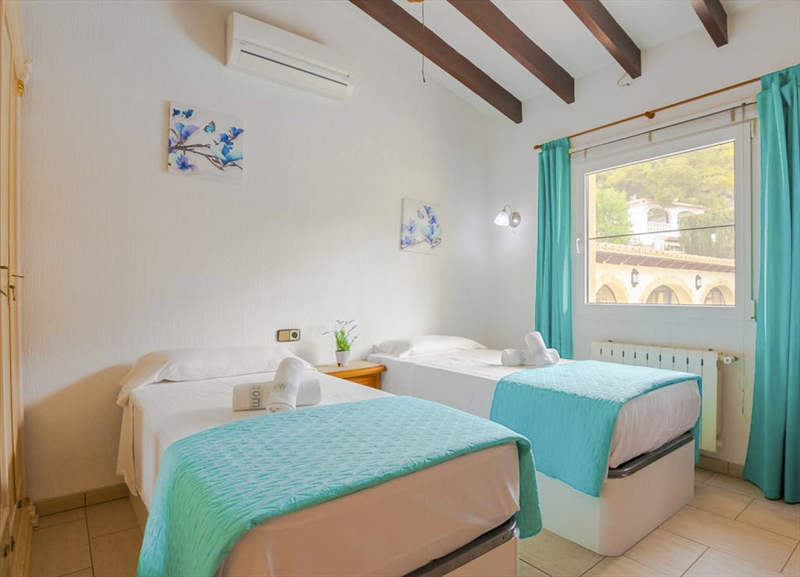 Originally a small fishing village, Moraira is now a popular holiday resort with plenty to offer families looking for a fun day out. Playa de l'Ampolla is one of the most family-friendly beaches as it boasts beautiful, white sand and peaceful waters that are ideal for swimming. There’s also a small stream where the younger ones can play extra safely, while older children will enjoy the volleyball net. You can also hire water sports equipment for exploring the beautiful scenery of the water. Several bars and restaurants are close by for grabbing snacks or lunch. After you’ve refuelled, visit the impressive 18th-century stone fortress of Castillo de Moraira that overlooks the beach. Other beaches in the area include Playa Platgetes with its rockier backdrop and less crowded sandy bay. Further inland, the town had retained much of its original charm from when it was a fishing village. Cobbled streets and an old market square are great places to bump into locals and soak up the laidback atmosphere and culture. Moraira also has a modern, cosmopolitan feel to it too, with plenty of shops for indulging in some retail therapy. The marina area is also full of top restaurants and is a buzzing evening spot. If you visit the town on a Friday, you’ll get to browse the large open-air market that’s held every week. The famous town of Benidorm is just a 30-minute drive away, and despite its reputation as a wild party spot, it’s great for families and has lots to offer. There are enough zoos, water parks and theme parks to keep the kids happy and the old town area is a fascinating place to get a feel for Benidorm’s heritage.